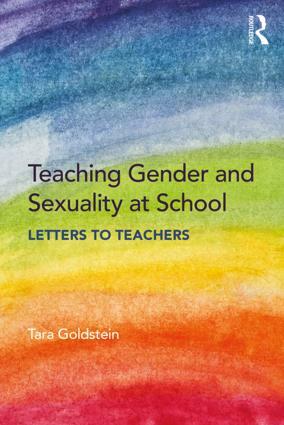 In a set of compelling letters to teachers, Tara Goldstein addresses a full range of issues facing lesbian, gay, bisexual, transgender, and queer (LGBTQ) students and families at elementary and secondary school. Goldstein talks to teachers about how they can support LGBTQ students and families by normalizing LGBTQ lives in the curriculum, challenging homophobic and transphobic ideas, and building an inclusive school culture that both expects and welcomes LGBTQ students and their families. Moving and energizing, Teaching Gender and Sexuality at School provides readers with the knowledge and resources they need to create safer and more positive classrooms and discusses what it takes to build authentic, trusting relationships with LGBTQ students and families.Includes "The Unicorn Glossary" by benjamin lee hicks, the performed ethnography Snakes and Ladders by Tara Goldstein, and the verbatim play Out at School by Tara Goldstein, Jenny Salisbury, and Pam Baer. Letter 3 What Will the Parents Say?